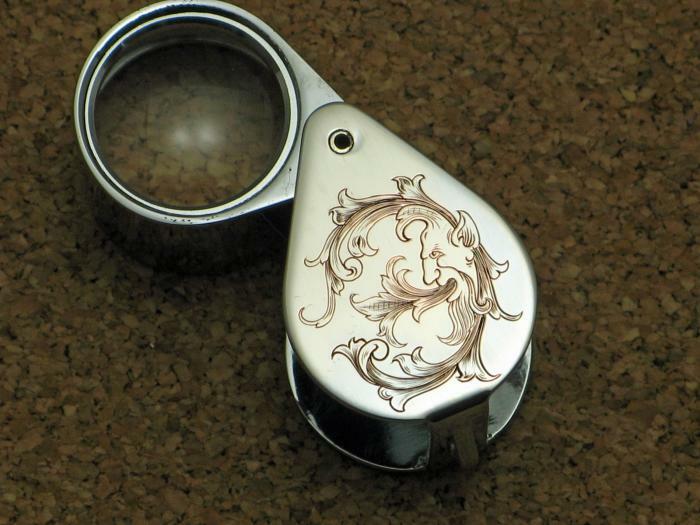 A 10x loop so that you can check out the engraving with a closer look. You have elegant engraving on a knife, why not look at it with a elegant loop? This will be at the show in some capacity, I am trying to gather up the smaller stuff in between working on the show pieces.